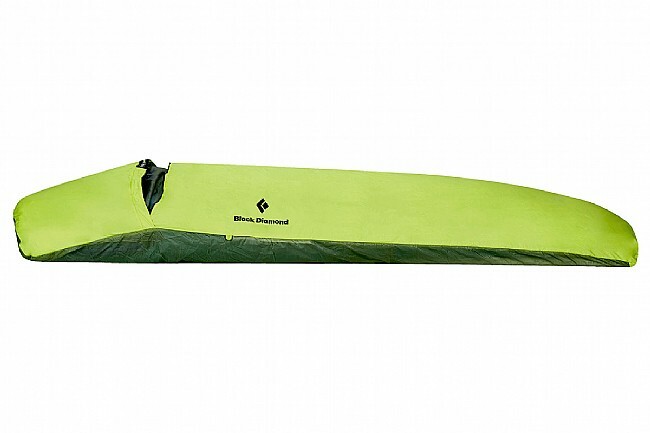 The Twilight Bivy from Black Diamond is a 4-season bivy built from water-resistant, breathable, and lightweight NanoShield fabric that packs down into a very compact, convenient size so it's easy to bring along on bike- or backpacking trips to use as an emergency shelter or a sleeping bag cover. 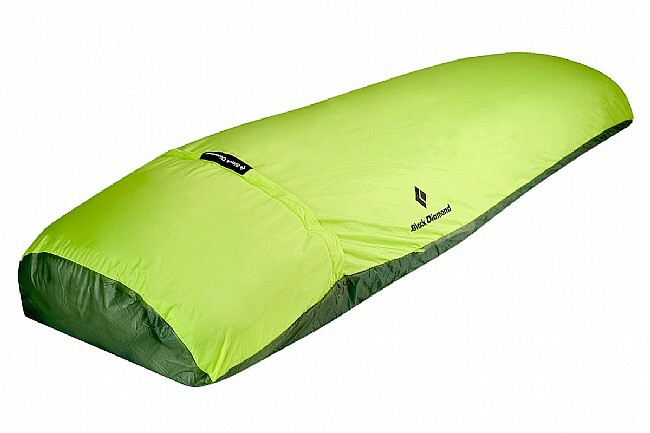 The shoulder-height zippered entry enables easy in/out and use while sitting upright. Proprietary breathable NanoShield single-wall fabric. Area: 1.75 m² (18.75 sq ft). Dimensions: 208 x 84 cm (82 x 33 in). 8 x 13 cm (3 x 5 in).